I'm having one of those weeks incredibly 'off' weeks. It all started this past Saturday when while waiting for a friend at lunch - Ella spilled an entire cup of coffee on my pants and the floor. I was soaked through - front to back - in a teal pair of pants. It wasn't cute. After lunch we went to the park where Ella proceeded to give herself a bloody fat lip in a classic 'I saw that coming' fall. Sunday I went to the grocery store and ended up with a buggy full of groceries and not the one thing I went in for. I backed over Ella's tricycle on Monday morning. Tuesday started off with a leaky cup of milk that resulted in a change of sheets, a spot cleaning of the couch cushion and a collective second shower/bath for Ella and I. I'm sort of afraid of the rest of this week. Long story short - I need a cocktail. 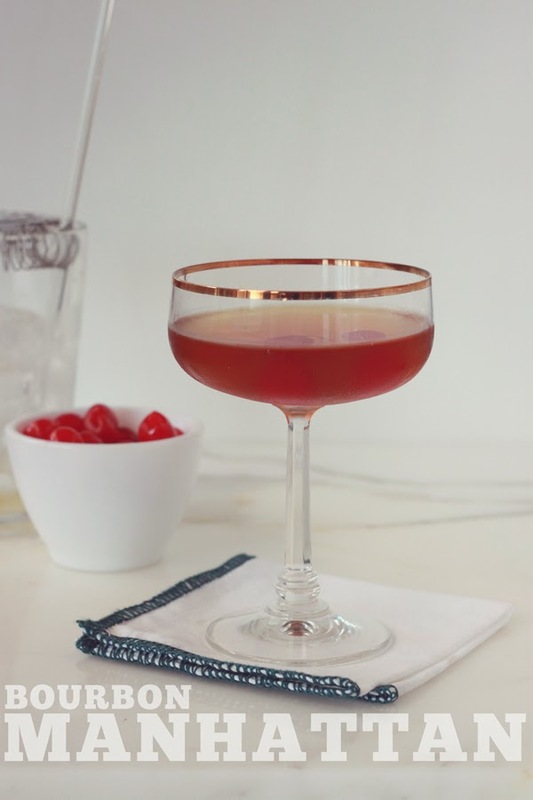 I had my first sip of a classic Manhattan last Friday night (before this week turned on me); and in an attempt to turn this week around I'm working on my own Freaky Friday switch back by learning to make this drink at home. 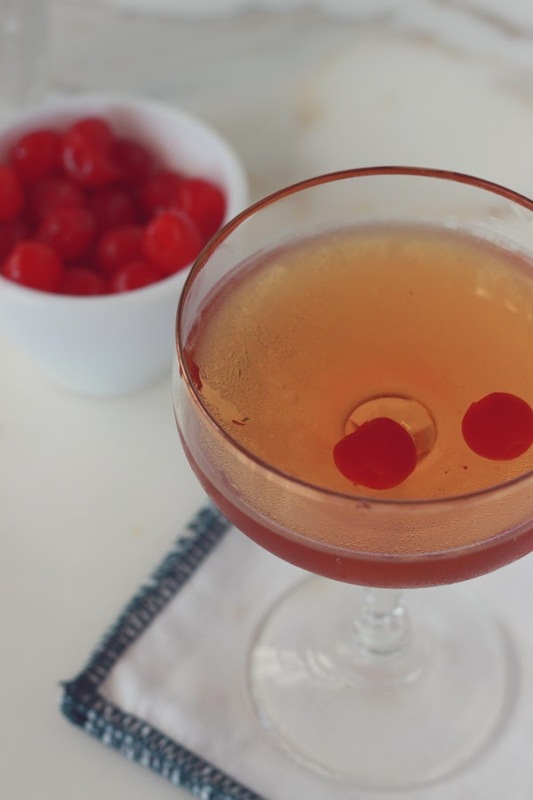 A classic Manhattan is made with whiskey or rye whiskey but I prefer bourbon (plus we always have a bottle of bourbon in our bar). 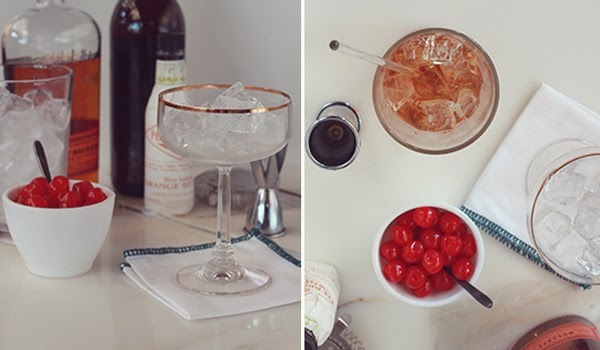 Traditionally this classic cocktail is served 'neat' but feel free to serve it on the rocks if you prefer. Fill a cocktail shaker with ice. Add the whiskey, vermouth and bitters and stir to combine. Strain the drink into a chilled glass. 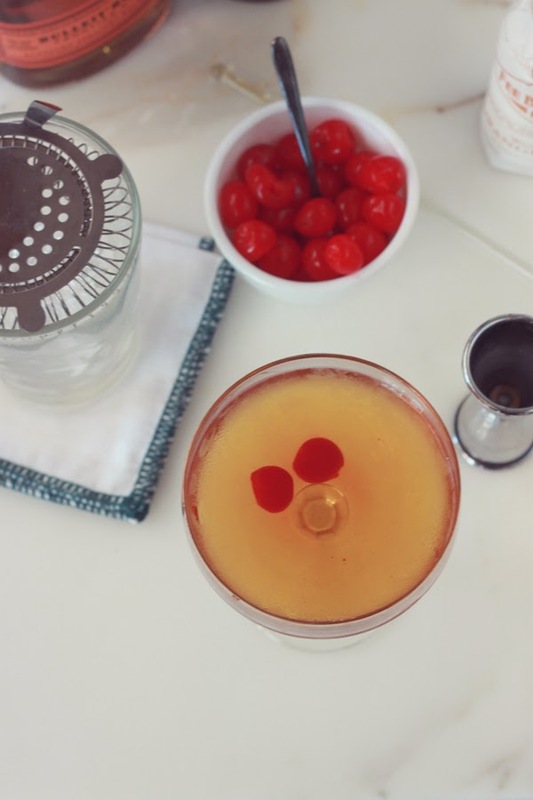 Add one or two maraschino cherries and enjoy! So clearly Thirsty Thursday needs a new title as I'm now posting Monday, Wednesday, & Friday instead of Tuesday & Thursday - look for this column to change names (but remain awesome) later this month! Right? Bourbon just understands my soul.